“The one thing he had with him through everything was a beat-up, muddy old tennis ball. 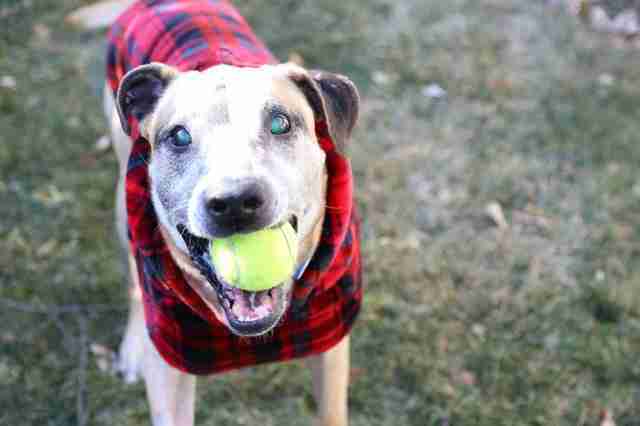 His tail didn’t stop wagging for a second and all he wanted was for someone to play ball with him." 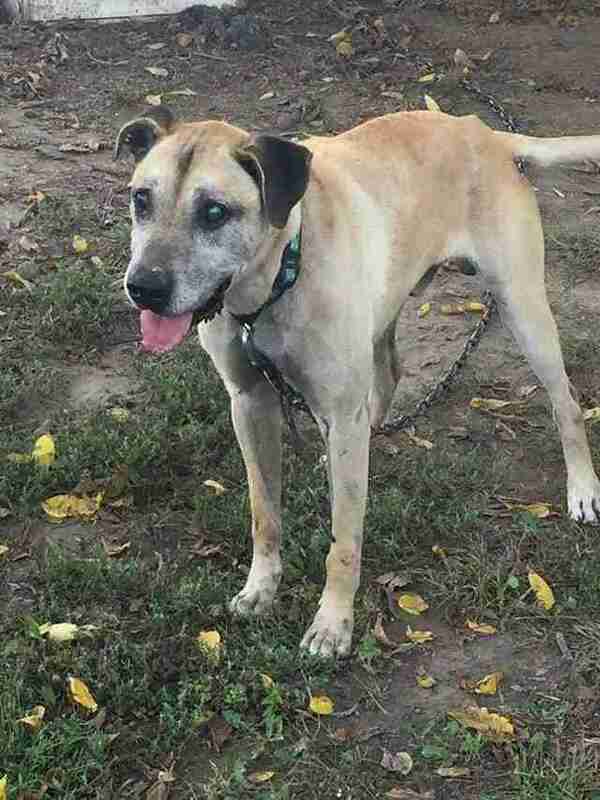 Diesel is 14 years old and completely blind — and has spent his entire life living on a heavy metal chain. From the time he was just a puppy, Diesel lived outside, never knowing what it was like to spend time lounging on a warm couch with a family who loved him. 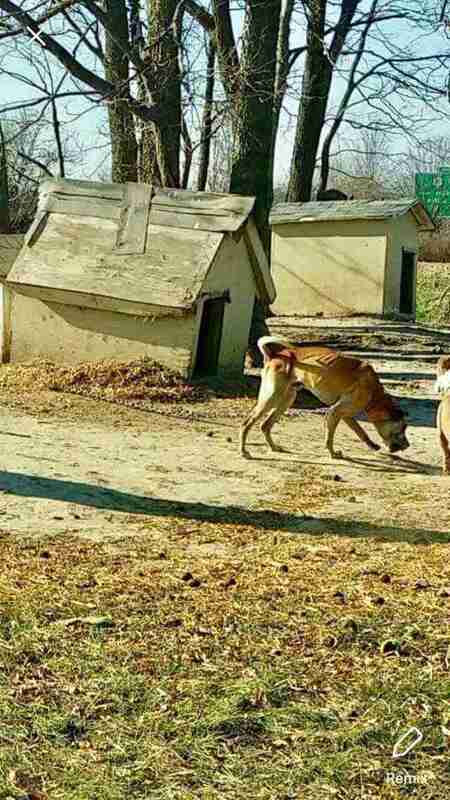 At one point it seemed Diesel had finally caught a break, and a “rescue” came to get him — only to rechain him up on its property, a life no better than what he was rescued from. When Zoe Kharasch, founder of Newman Nation: Senior Pets United, heard about Diesel’s plight, she knew immediately that she had to try and help him. Every dog deserves a chance to be loved, and Diesel had waited for that chance long enough. 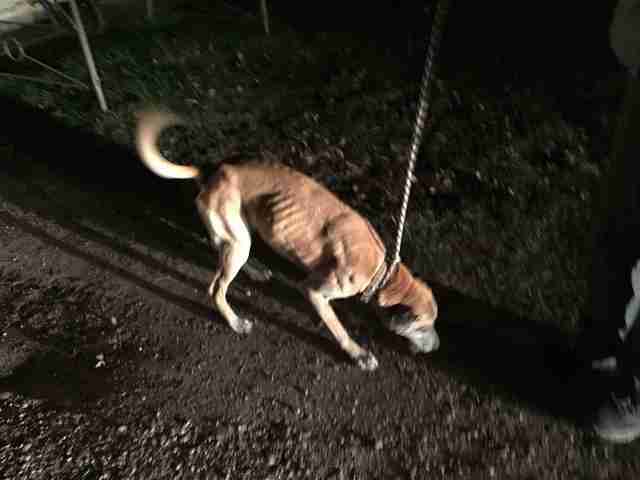 He’d been chained up through extreme heat, snowstorms and even a tornado. It was time for Diesel to finally know life off a chain. 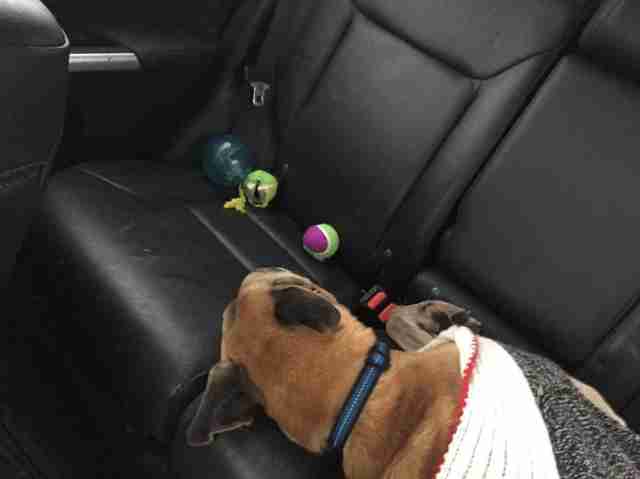 Despite everyone else’s doubts, Kharasch sent a volunteer to go and pick up Diesel — and from the moment the woman met him to his ride in her car, Diesel was an absolute dream. 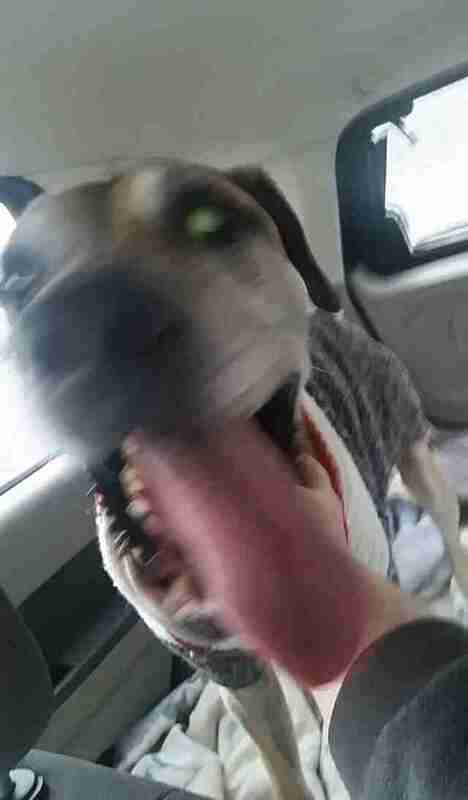 He was so grateful to finally be free from the heavy chain, and wanted nothing more than to play with everyone around him and be loved. The “rescue” that claimed to be helping Diesel has since been shut down due to neglect and other issues, according to Kharasch. 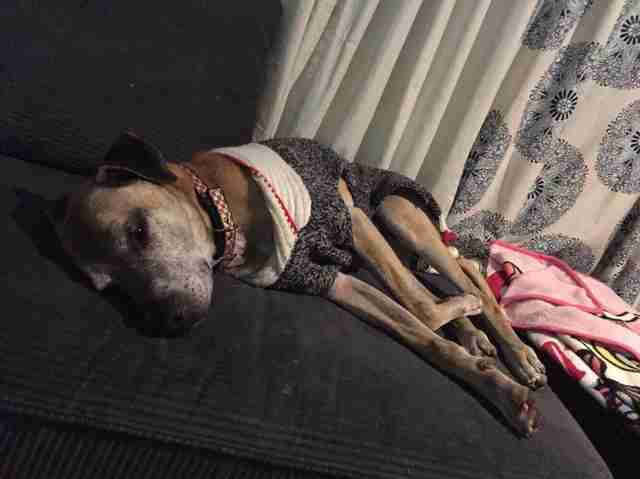 Diesel was immediately placed in a foster home, and the minute he arrived, he leapt onto the couch and sprawled out comfortably for the very first time ever. He made himself at home right away, and no one could believe how well he fit into his foster family right off the bat. He had been waiting his whole life to finally have a loving family, and it seemed that sweet Diesel wasn’t going to take even a second of it for granted. 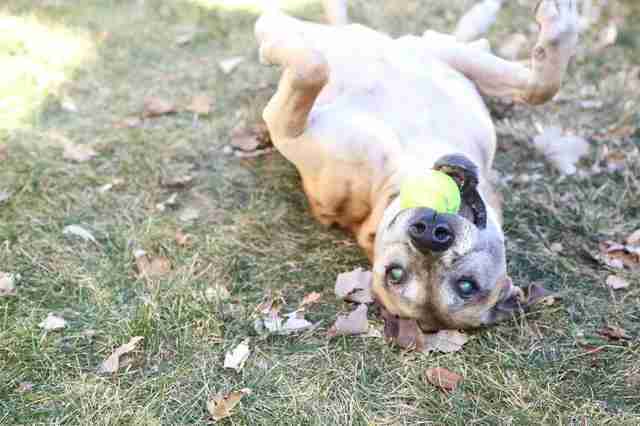 Diesel may be 14, but the sweet senior dog has so much life left in him. While he was very skinny when he was rescued, he’s now in surprisingly good health. All his bloodwork came back normal, and his very healthy appetite has helped him reach a normal weight again. While he is completely blind, he seems to have no idea. Diesel would really fit in well with any family who is willing to adopt him. He loves dogs, cats and kids, and would love a home where he can run around and play with everyone constantly. 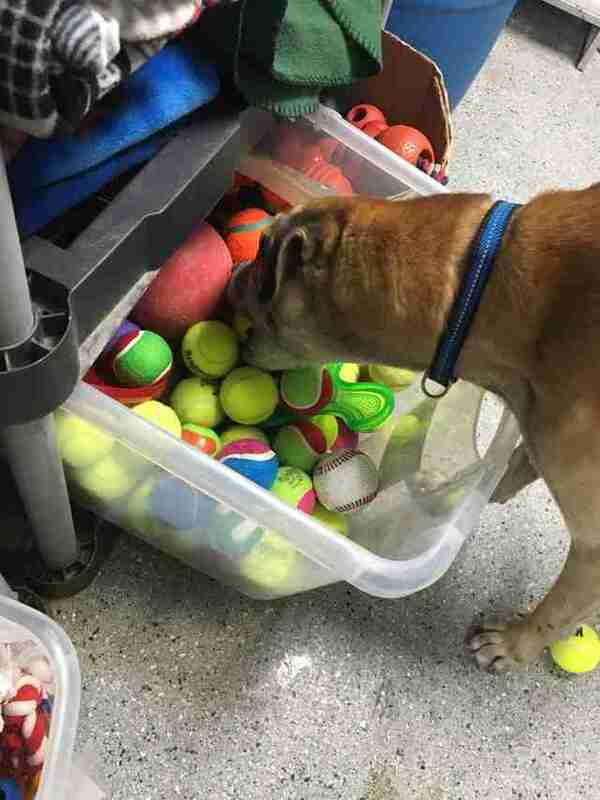 His favorite things in the world are tennis balls, and his foster mom was able to get local businesses to donate hundreds of them to him. Diesel was alone for so long, that all he really needs now is a family who will love him. “Diesel is a true testament to the good nature of dogs and how they forgive so easily,” Kharasch said. If you’re interested in adopting Diesel, you can contact Newman Nation: Senior Pets United for more information.